© Provided by AFP The Eiffel Tower in Paris now sets aside half of daily tickets for internet customers, up from just 20 percent. 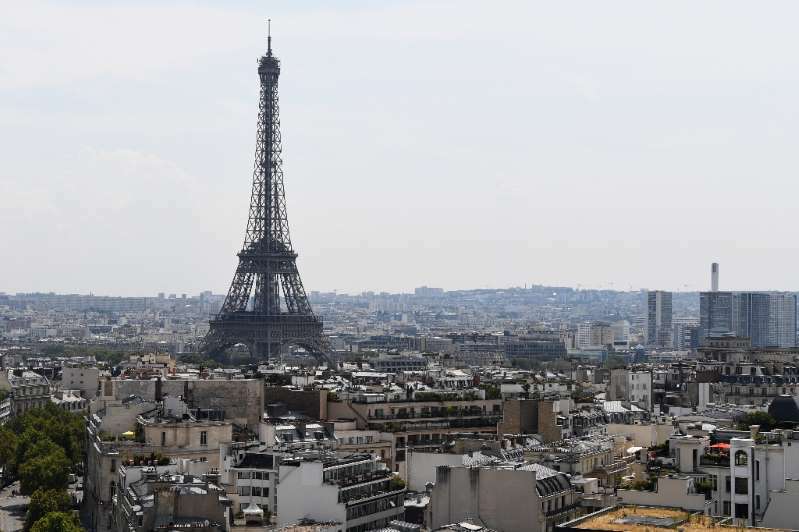 The Eiffel Tower was turning away tourists for a second day on Thursday as workers pressed a strike over a new access policy that they say is causing unacceptably long wait times for visitors. The monument has been closed since Wednesday afternoon as unions locked horns with management over a decision to assign separate elevators to visitors with pre-booked tickets and those who buy them on site. At the same time, the tower now sets aside half of daily tickets for internet customers, up from just 20 percent previously. Workers say the changes have resulted in lopsided lines that can extend to three hours for those waiting to pay for tickets, and up to an hour for internet customers who are supposed to have reserved time slots. [post_ads]They want more flexibility in managing the thousands hoping to reach the top of the "Iron Lady" each day during the peak summer tourist season. The tower's operator counters that lines haven't gotten any worse than before, even as visitor numbers have risen, with more than 6.2 million tickets sold last year. But many tourists showing up Thursday morning had no idea what the strike was about, with signs saying only that the monument was closed. "I'm annoyed, I'm not going to lie," said Robin Frye of Birmingham, England, who was visiting Paris for the first time. "It's going to throw off our whole trip if I'm honest," she said. "We got up at 6:00 a.m. and were among the first people here, but it's closed," said Adele Liliane, who arrived this week from Montreal, Canada. Negotiations resumed Thursday after workers held a general assembly in the morning to discuss a proposal offered by the site's operator SETE, which is majority owned by the city of Paris. "The SETE is well aware of the disappointment for visitors because of the monument's closure, and its negative impact on the image of both the city and country," the company said in a statement. "It offers its apologies to everyone — Parisians and French as well as foreign tourists." The tower's 300-strong staff has staged strikes repeatedly in recent years over issues including pickpocketing and maintenance work. "It's unfortunate to end up here, with visitors being penalized, but we did everything to avoid it," said Denis Vavassori of the CGT union. He said directing people to the elevator with the shortest waits regardless of the type of ticket they bought, as they used to do, would ease the congestion. The SETE has indicated it may be willing to try out the unions' plan. "We're hoping to resume work as quickly as possible," Vavassori said. "For the time being I'd say we've got a solid basis for discussions."